Kamaru Usman’s unanimous decision defeat of long-time UFC welterweight champion Tyron Woodley was a performance to remember. Unfortunately, the fight will also be remembered for a few controversial calls from referee Marc Goddard — most notably a handful of controversial stand-ups, issued when Usman was in dominant positions, seemingly working hard. 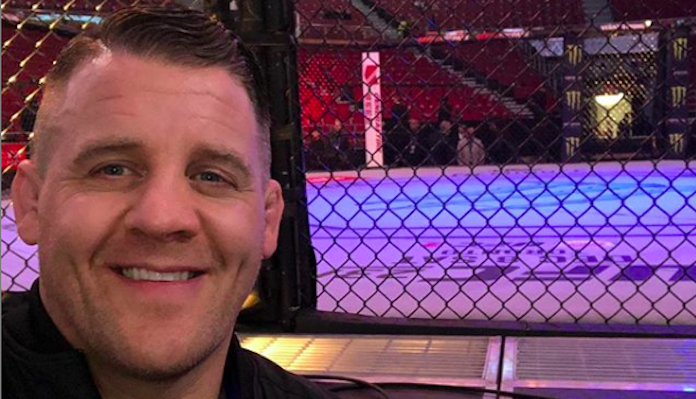 After a comment from MMA Fighting’s Luke Thomas on Twitter, referee Marc Goddard issued a lengthy explanation of his calls in this Usman vs. Woodley matchup. Hi Luke, and firstly thank you. I will address in detail this weekend with @danhardymma but a couple of points of note before then. 3. There was a total of 3 separations the ENTIRE fight. 8. Hopefully when I speak it can go some way to offering up an explanation as to why I do what I do, and when. 9. Commiserations to Tyrone and respect & to Kamaru. 1. It was a full 25 minute 5×5 fight. There was ONE single solitary stand up the whole entire fight. That came in the 4th round. 4. My use of the words “it’s a fight”! have been totally misconstrued. I only spoke in answer to Kamaru who asked why? 5. My use of the words “it’s a fight” was NOT the correct wording to use at that point. It was the wrong choice! I should have used different wording, no question. I have nothing but respect for Kamaru and his entire performance. 7. I have received an unbelievable amount of messages, literally hundreds. Questions and disagreements I can ALWAYS deal with that goes with the job, but the vile abuse not so much. This happens to my wife & son too. 9. Commiserations to Tyron and respect & to Kamaru. In closing I will continue to give my all to this sport. A referee makes decisions, not always popular, not always correct but please know I have devoted 20 years to MMA & ALL of its facets. Im far from perfect, I’m just like everyone else. Thanks – Marc Goddard on Twitter. What do you think of this explanation from Marc Goddard? What did you think of his calls in the UFC 235 co-main event?